You are currently browsing the tag archive for the ‘nickels’ tag. The rising September sun brutally beamed in my eyes on my eastbound drive this morning. But, the good news was … the sun was out. Yessirree Bob, it’s mid September. I don’t know who Bob is and I don’t know where that saying came from. It just magically sprang from my fingers as I typed. The sun was in my eyes but the sun was shining. It was a good day. That’s why there’s chocolate and that’s why there’s vanilla. And for every coin toss, there’s a heads and there’s a tails. Unless your flipping nickels, then there’s Thomas Jefferson and the Monticello. At least after 1938, there was TJ and Monty. I’m not sure whey they call the other side of the coin “tails”. The heads part is easy, but the only coin that I know of that has a tail, is the US nickel minted from 1913 until 1938. This coin features an Indian head on one side and buffalo (with a tail) on the other side. 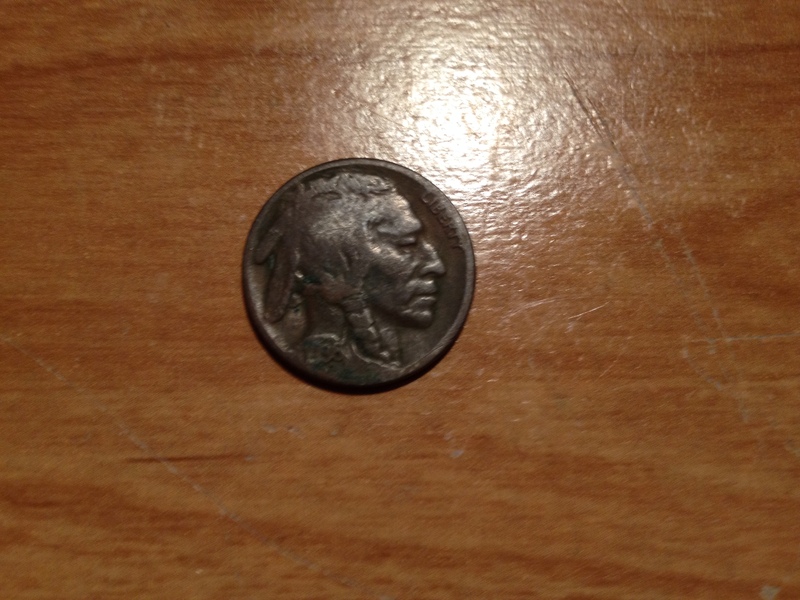 The Indian head on the nickel looks strikingly like the Washington Redskins logo, but that was not the reason why TJ supplanted the Indian Head in 1938. 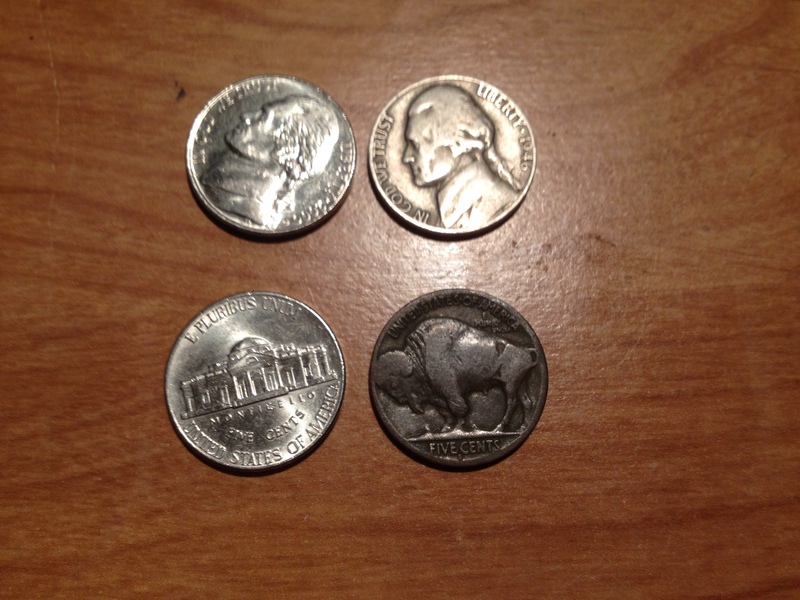 Nobody was offended by the nickel in 1938 when the Indian and the Buffalo went to that nickel heaven in the sky. It was just time for a change after 25 years. So where was I? Sun in my eyes, but the sun is still shining. Nobody was offended by the Indian Head nickel. Wedwand is waiting for “yes” answer. Not too many hands went up there. For every ceiling there’s a floor. For every flavor of ice cream, there’s another. For every heads, there’s a tails. Whatever we face in life, we all have the choice on how to handle it. Time for the coin toss. Call it in the air. All these silly games and stuff Wedwand sees on the internet. Take the “What’s my flower child name” quiz. Try the “Who were you in a past life” quiz. Challenge yourself with the “What song are you” quiz. Dump a bucket of water over your head and help cure all diseases known to man. So Wedwand decided to make up an easy game you can play in the event you actually want to conserve water and you don’t have access to these fancy aps they have these days. It is very simple and truth be told, any coin will do. You don’t even need nickels, but they are more fun to play with. 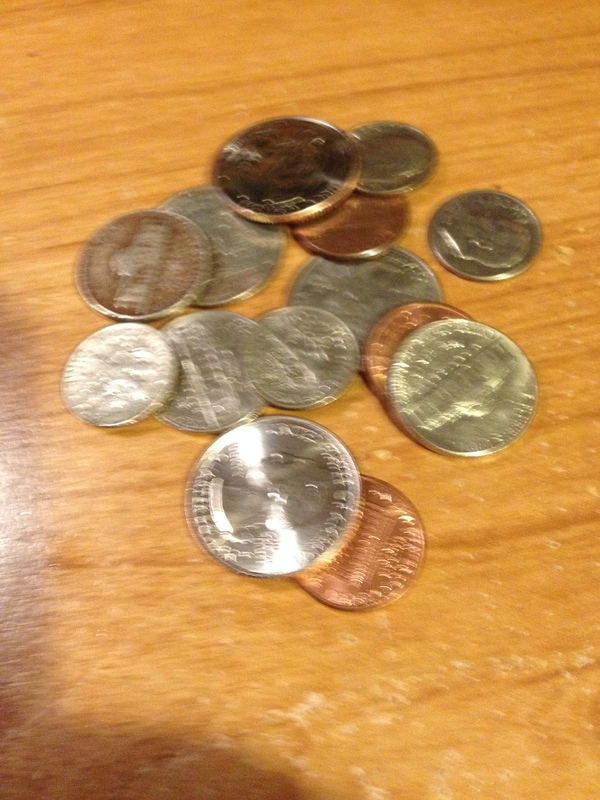 Let’s change it to the “Wedwand Spare Change Game” so we don’t offend the quarter, dime or penny for being left out. From a random pile of change, grab one coin. Look at the year on the coin. 1 personal memory from that year. 1 historical event of that year. 1 song from that year. Try not to look them up, but verify accuracy and you must after your choices. You can play this with friends at a party or all by yourself. The personal memory part will be a topic of discussion. Here’s an example. From a random pile of change, my nickel said 1999. 1. My youngest daughter turned 5. Aw, she was cute. 2. Hmm. Bill Clinton had clandestine meetings with a young intern in the Oval Office. 3. Let’s go with Green Day, Good Riddance (Hope you had the time of your life). Let’s dig in to the bucket o change and try again. It’s a dime, from 1965. 1. My oldest sister was born, Aw, she was cute. 2. Martin Luther King led Civil Rights marches in Chicago. 3. “Wouldn’t It Be Nice” by the Beach Boys. Gosh, this is so fun, let’s play again. It’s a penny from 1989. Tell me your 1.2.3. answers for 1989. Share this with your friends and help Wedwand go viral. Aw, it doesn’t matter if you do, but isn’t it a cute game? HINT: You younger readers may want to select the bright shiny coins while you older readers may enjoy the old grisly ones.